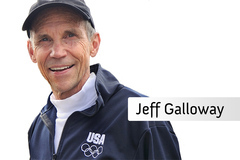 Olympian Jeff Galloway is America's top running/walking coach and recognized globally as a leader in the science of performance. Jeff’s books have sold over a million copies and he invented the RUN-WALK-RUN method that he has used to train over 200,000 aspiring and experienced runners. He is the Official runDisney Training Consultant and a running expert for the New York Times. Jeff offers creative solutions to unique issues for beginners and advanced runners. 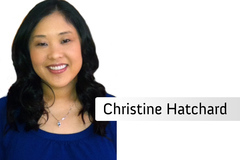 Dr. Christine Hatchard is a licensed clinical psychologist (NJ#4871) and Director of Mosaic Psychological Associates. She is also an assistant professor and Director of the Clinical Psychology Research Center at Monmouth University. She has provided talks and trainings on mental health to audiences worldwide, and has been featured in newspapers and on television. 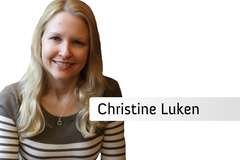 Christine earned a BA from Monmouth University and a Doctorate in Clinical Psychology from Chestnut Hill College. 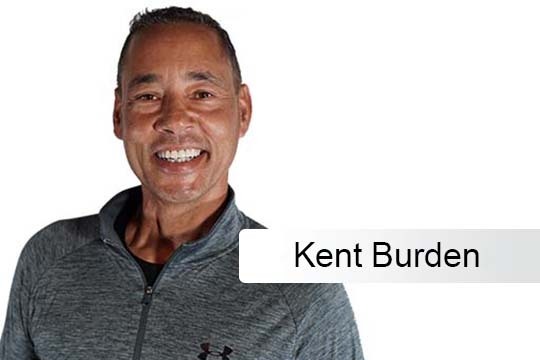 Kent Burden was the long-time Mind and Body Program Director at California’s famed Ojai Valley Inn & Spa, and has been featured in magazines such as SHAPE and Natural Health. Kent’s engaging style has made him the go-to guy for celebrities like Julia Roberts and Drew Barrymore. Author of eleven books, including the best-selling "Clean Eating Dinner Cook Book & Diet Plan" and "Is Your Chair Killing You? ", Kent has advanced degrees in Natural Health Science and Holistic Nutrition. Christine Luken is known as the "Financial Lifeguard", with a long track record of assisting businesses and families achieve financial health. She helps people formulate budgets, create plans to pay off debt and build up savings. She is a veteran Meal Planner, using meal planning strategies to save time and money, and reduce stress. Christine has a BS in Accounting and worked for thirteen years as VP of HR & Accounting in the manufacturing sector before starting her own company. 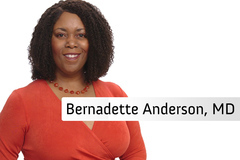 Dr. Bernadette Anderson, MD, is a writer, speaker and family medicine practitioner. Having overcome obesity in her own life, she applies principles of lifestyle transformation to her patients’ care. Her holistic approach empowers patients to create a personal wellness plan and be part of their own cure. Dr. Bernadette has a Bachelor’s in Psychology from the University of Michigan, a Master’s of Public Health from UC Berkley, and a Doctorate of Medicine from the Medical College of Ohio. Kathy Smith has been known as "America's Trainer" for over three decades. She has often appeared on network television shows ranging from Oprah to The Today Show, and is regularly featured in national health magazines. An accomplished author, she has written the bestselling books "The Feed Muscle Shrink Fat Diet" and "Moving Through Menopause". Kathy has partnered with the American Diabetes Association and is on the Board of the School of Gerontology at USC. 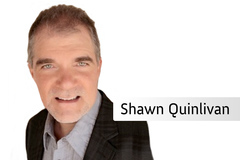 Shawn Quinlivan is Founder of Cathexis Therapeutic Imagery and a prominent hypnotherapist, life coach and corporate consultant. His proprietary approach to meditation and mindfulness training blends imagery and neuro-linguistics with traditional hypnotic techniques. This consciously connects the mind, body and spirit to help people achieve positive change. Shawn is a graduate of the Hypnosis Motivation Institute, a Certified Master of Therapeutic Imagery and a Certified Clinical Hypnotherapist. 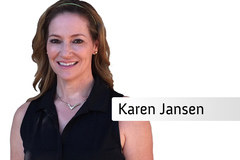 Karen Jansen is VP of the LPGA Teachers & Club Pro Division and an acclaimed golf performance specialist. Golf Digest Magazine named Karen one of America’s “Top 50 Female Instructors” and LPGA voted Karen its 2008 National Teacher of the Year. Karen has helped thousands of golfers improve their game by combining her proprietary Cardiogolf fitness training system with innovative mindset strategies. She is also a certified personal trainer and author of the top-selling book Golf Fitness. Yumi Lee has trained Hollywood's most famous, including Hugh Jackman, Brad Pitt, Orlando Bloom and Demi Moore. She has used her sport-specific training to work with professional football, basketball and tennis players, and she trained Lenny Krazelburg, three-time Olympic gold medal swimmer. 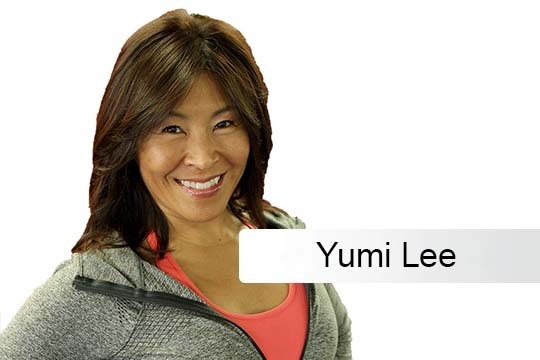 Yumi’s coaching brings an energized, yet simplified, approach to everything from walking to boot camps. She consults with Reebok on fitness programming and has consulted with Cirque de Soleil. Laura is Founder and CEO of THE ASK©, teaching people how to successfully ASK for what they need and deserve: from money to relationships to health. Laura has a rich background in the management of fundraising for universities and large not-for-profits. Earlier in her career, Laura practiced law as a deputy attorney general in Pennsylvania. She holds a journalism degree from Rutgers University and a law degree from Western New England University School of Law. Adrienne Reed is an award-winning yoga instructor, best known for her television series 'Power Yoga: Mind & Body' which aired in over 60 million households nationwide. Her style of yoga promotes weight loss, while building strength, stamina, flexibility and balance. She operates Namaste Yoga Studio in Florida, where she trains Olympic and professional athletes. 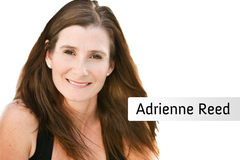 Adrienne released her first video, 'Power Yoga for Athletes', in 2005 and has produced nine more DVDs since. 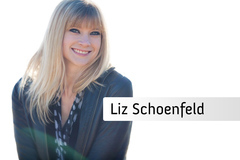 Dr. Liz schoenfeld earned her Ph.D. in Human Development and Family Sciences at the University of Texas at Austin. Her research, which focuses primarily on the development of love over time and its expression in day-to-day life, has been featured in media outlets such as Psychology Today and US News & World Report. Liz is a contributor to and former editor of the website, scienceofrelationships.com, and currently serves as the Director of Research & Evaluation at a large nonprofit in Austin, Texas. 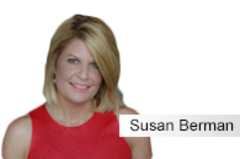 Susan Berman is a Certified Holistic Health Coach (CHHC), and a member of the American Association of Drugless Practitioners. She holds a Master’s Degree in Education and is the founder of Healing Acid Reflux Naturally. After losing her husband to esophageal cancer, she realized her mission was to help others heal from this disease. 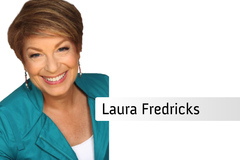 In addition to being a transformative and passionate speaker, she has authored articles for wellness magazines, has been featured in Hartford Magazine and Better Health, and in the East West Functional Medicine podcast. Linda Shelton was inducted into the National Fitness Hall of Fame in 2007. She pioneered onsite corporate employee wellness programs for companies like Hughes Aircraft and Blue Shield. She developed landmark predictive, preventative lifestyle screening and back protocols for her clients. For over twenty years, Linda served as Fitness Director for SHAPE Magazine and Natural Health. She was also a founding member of the Aerobic and Fitness Association (AFAA). Ron Matthews has spent more than a decade sculpting the physiques of entertainers, producers, executives and professional athletes. 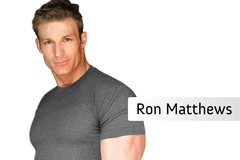 His dynamic fitness methods have been use by many celebrities, including Jennifer Garner, Eva Mendez and Hugh Jackman. Ron's approach to cardio and resistance training combines exercise physiology, strength conditioning, functional fitness and circuit routines to create the ultimate body transformation system. Dayna Deters is the owner of Dayna Deters Determined Fitness. She is a national-level fitness competitor, placing in the Top 10 in two Fitness America Pageants. Dayna is creator of the Determinite Express DVD Series as well as author of Gluten-Free Momma Fit Cookbook: Healthy Gluten-Free and Fit Living Recipes. She is a specialist in helping women experience healthy pregnancy. Dayna is a graduate of St. Cloud State University in Minnesota with a Bachelors in Health Education. Alycea Ungaro is a Pilates Guru and owner of Real Pilates NYC. She introduced the very first Pilates Mat classes in large New York gyms, helping bring about the Method's current popularity. To accommodate clients with limitations and disabilities, Alycea attended New York University's prestigious Physical Therapy program to become a licensed physical therapist. She is also a certified Peri-natal specialist and has trained scores of celebrities, including Madonna, Uma Thurman and Claire Danes. Alex Isaly is a leader in cutting-edge fitness. He is founding creator of R.I.P.P.E.D® - The One Stop Body Shock and is a consultant ASICS, Nike/Microsoft and BowFlex® and Simplified Genetics. Alex sits on the Advisory Board for the IDEA Health and Fitness Association. He has appeared on The TODAY Show, Jimmy Kimmel Live and CNN News. He has also been a contributor or referenced in several national publications, including SHAPE Magazine and Men’s Fitness. Stephanie Vitorino is one of Los Angeles’ hottest celebrity trainers. She is the creator of the successful VBODY workout DVD series “The Ultimate Body Shaper” and her “Body Target 60” was a Shape Magazine DVD of the Month selection. Stephanie was awarded Group Fitness Manager of the Year in 2012 by Equinox Fitness Clubs, where she is a Senior Group Fitness Manager of this elite fitness brand. She is also a contributing fitness expert for Shape, Fitness and Health magazines. Octavio Perez is a leading Hollywood fitness specialist of 30 years who has appeared on the “Ellen DeGeneres Show”. He brings the energy, wisdom and knowledge of his many years as a group exercise instructor to his personal training. Octavio offers everything from walking/cardio to strength training to interval training, delivering great results and promoting weight loss to the Spanish speaking community. Octavio offers a full range of fitness programing, 100% in Spanish. Allyson Chavez is the Ultimate Prosperity Coach. She works with individuals to change their inner stance – or the place they operate from - so their bank account can dramatically grow. She is also an author, an international speaker, a licensed and certified SimplyHealed™ energy practitioner, and a licensed and certified BANK™ sales & communications trainer. 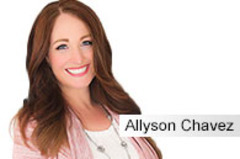 Allyson believes that Ultimate Prosperity is a level of living that is not governed by fear or lack, and teaches clients around the world how to make more money by changing their inner world first. Earnest Hart, Jr. is a world-class martial arts champion and self-defense expert. He was named one of the "Top Ten Kickboxers of All Time". Earnest trains Fortune 500 executives in self-defense and helps them develop awareness, mindset and tools for personal safety. He lectures on dealing with conflict and anger, and making good decisions in dangerous situations. 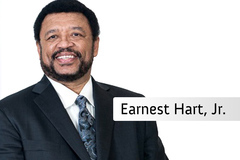 Earnest has been a personal security consultant to many celebrities, including baseball great Ozzie Smith, and actor George Clooney. Earnest is the author of the book - How to Vacation & Travel Safely. 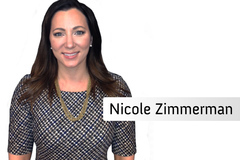 Dr. Nicole Zimmerman is a trained chiropractor who uses her extensive understanding of human anatomy and biomechanics to bring awareness to healthcare professionals and the public regarding the importance of sleep. She has created education materials to explain the science of sleep and the impact of sleep on cognition, weight management, the ability to fight illness, and overall happiness. Dr. Nicole received her Doctor of Chiropractic and Bachelors of Science from Western States Chiropractic College.